Are U white, grey, brown or pink kind of owl ? ROFl! Must be the sunday blues messing up my mind again! 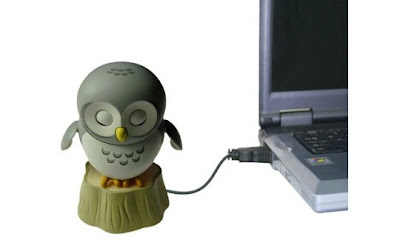 but USB Owl does exist, Ok! Just airborne into Japantrendshop to find it yourself . Now, I must do the owl thingy which is "zzzzzzzzzz!" . Going airborne while asleep.